If you are looking for a used Honda Ridgeline in Vancouver, North Vancouver and surrounding area, the Goldline Motors sales team will be able to satisfy your needs. Goldline Motors always has a great selection of pre-owned Honda Ridgeline in stock and add to the vehicle inventory daily. At Goldline Motors we proudly sell and service used Honda Ridgeline to customers from Vancouver, North Vancouver, Richmond, Burnaby, Surrey, New Westminster, Coquitlam, Delta, Abbotsford and Victoria. 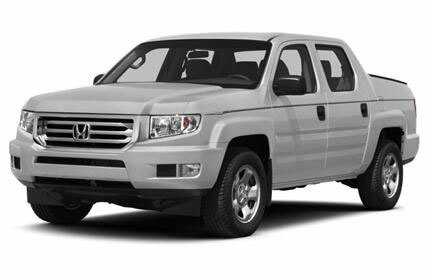 The Honda Ridgeline is an innovative full-size pickup truck. It features a unique design that includes the exclusive In-Bed Trunk, a locking compartment under the rear cargo bed floor that provides hidden, secure storage. The four-door, five-passenger Ridgeline is available in four trim levels: RT, Sport, RTS and RTL. All are powered by a 250-hp 3.5-liter V6 engine, mated to a five-speed automatic transmission; Honda's Variable Torque Management four-wheel drive system (VTM-4) and a limited-slip lockable rear differential are also standard. A trailer hitch is standard on all trim levels, rated for a maximum towing capacity of 5000 pounds. Trim-dependent equipment includes a power moonroof, aluminum wheels, heated front seats, leather upholstery, automatic climate control and satellite radio, while the RTL can also be outfitted with an optional voice-activated navigation system, including rearview camera and Bluetooth HandsFreeLink wireless connectivity. Standard safety features include Vehicle Stability Assist with integrated traction control, anti-lock brakes with brake assist, front side-impact airbags, front and rear side curtain airbags, active anti-whiplash front head restraints and a tire pressure monitor. For 2013, all non-NAVI trims now have a rearview mirror with rearview camera display as standard equipment. Source: Chrome Data. The ride is comfortably quiet...Rubber isolates front and rear subframes to help keep road harshness out of the cabin. Lightweight, noise-absorbing materials are used for the dashboard insulation, carpet and behind the rear seats. -- Cars.com. Source: Chrome Data.